I used to so enjoy having breakfast with my Son at the Forrest Diner along Route 40 after we got our haircuts on a Saturday morning early. It was like the old diner we would go to in Laurel and on trips out-of-state in my youth. I still like Chick and Ruth’s in Annapolis. And while that is called a deli it reminds me of the diner feeling. Actually that is where I took the shot below. I wonder what type of memories our children will have. For some reason I don’t think they are going to have the substance or feeling that ours did just like our parents probably thought for us. 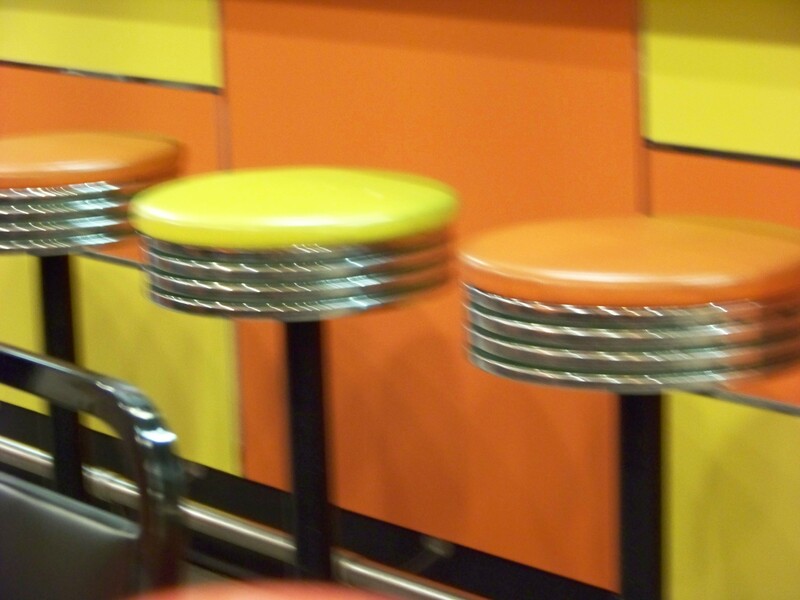 To me a diner represents something. People at the diner used to great each other, because they knew each other. They would talk and disagree and go back to work or home for the evening. I was going to go all nostalgic but time has gotten away from me again. Actually it didn’t. I just prioritized it well. I had a wonderful dinner with my daughter and my soon to be grandchild. I did a few things at the house and I had to work. And work has been brutal and taking up a lot of time the last few days. So maybe I’ll finish this train of thought another day. Remembrances of Christmas’s in my youth are getting harder to come by. I need to go look through some old photos. I hear a rumor of more food orgies in a couple of weeks. My senses love the smell, feel and sight of a fresh tree. My back wants nothing to do with a real tree even if it is only the trip from the top of the car to the deck and into the family room. I saw the most fitting headline the other day. “The Presidents distrust of intelligence expands.” That explains a good bit now doesn’t it. I wish I had seen Genesis, especially in the 80’s. There live concerts looked like fun and I’m discovering and rediscovering some of their music. I must be getting old. I actually missed a shift today. I may have to adjust my retirement account for transmission work if that trend were to continue. And no I’m not going to drive an automatic.